I use Firefox. Let me say that again. I USE FIREFOX! However, there are people who still use IE, either because they don’t know of any other browsers* or because they like it. It’s not my job to convence them otherwise. So, when somebody asks me to help them update their laptop, I will not change any of their programs, including browsers. Yes, of cource I want that! A collegue installed it and said it is fantastic! Whatever… I’ve had problems of my own with IE8, but it was on a Vista Buisness machine, this laptop was with XP, so I did what I was told. Well, some time later, the laptop was updated, the owner had the brand new browser that was supposed to be fantastic and I was done. Well… almost done… One of the firtst things the owner did when I gave the laptop back, was visiting mySpace, to check out some hot new band or something. In order to view the mySpace music player, you have to upgrade your flash player. No problem, it’s been done many times, piece of cake, right? I downloaded the stand alone installer from Adobe’s site. I closed IE, run the installer and presto. Flash player was updated to version 10. Not sure what the problem is. I really don’t care, I just wanted to get my job done and frankly why should anyone care? The average user will only follow instructions provided by the developers (in this case Adobe) and when he sees his browser freezing, will not know what to do. 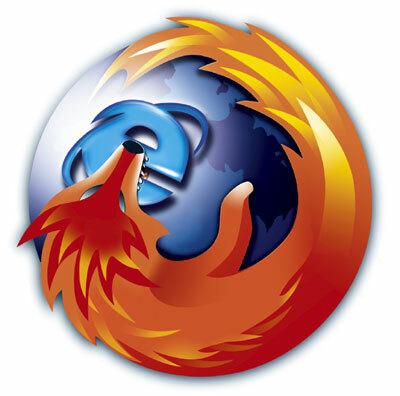 So, let me say this once more: I USE FIREFOX! Asus eeePC 900 – Bios Update. Today’s post, is a bit technical I’m afraid. I have to apologise if some of you find it boring, but I think it is a useful piece of info that might help some people. The story: I have an ASUS eee PC 900, which I bought with windows XP. I worked just fine, save from the short battery life. It supposed to last about 2 hrs, but in my case it lasted no more than an hour with the wlan turned on. While searching through forums, asking around and taking wild guesses, I decided to install linux on it, since it was supposed to treat batteries better. On a whim, I decided to go with SuSe, since I had seen it at a colleague’s computer and it looked nice. The solution: You need a USB stick formatted as FAT16. FAT32 did not work! Then you will have to download the ROM file from ASUS website and rename it to something like 900.ROM (if your model is eeePC 1000, that would be 1000.ROM). Copy the ROM file to the USB stick, plug it in and restart your eeePC. While at the BIOS screen, press ALT and F2 simultaneously. This loads the built in updater. If all goes well, it should detect the USB stick, read the ROM file and start the update procedure. It didn’t take a long time, just a couple of minutes. Then, it will prompt you to restart the machine, and everything will be fine. Remember to re-enable some devices that will be turned off by the new BIOS.